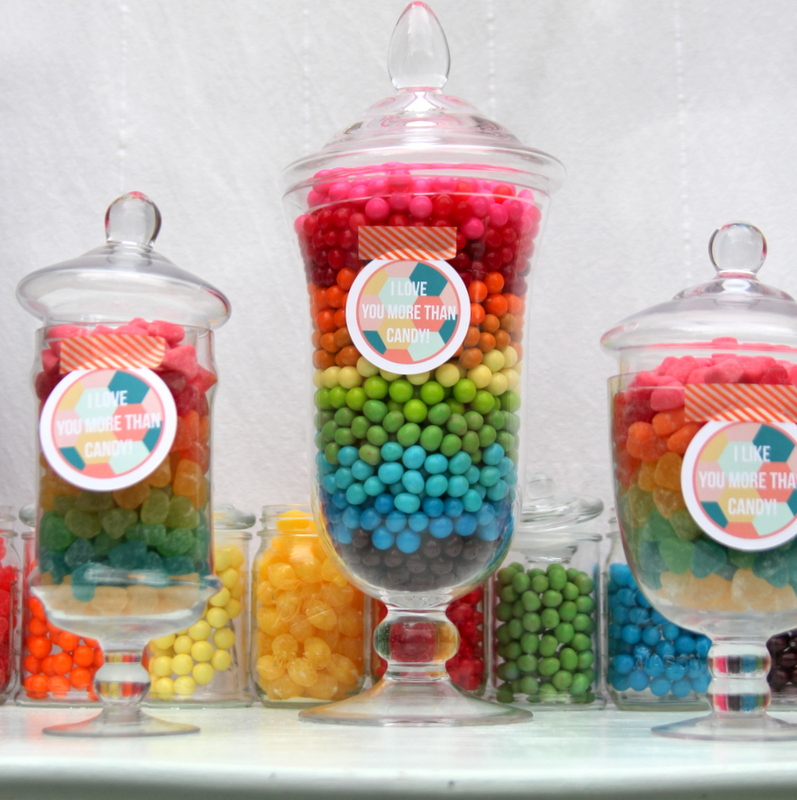 Despite my mom’s very best efforts to the contrary, I have a serious sweet tooth… so, saying “I love you more than candy,” is quite the high compliment coming from me. 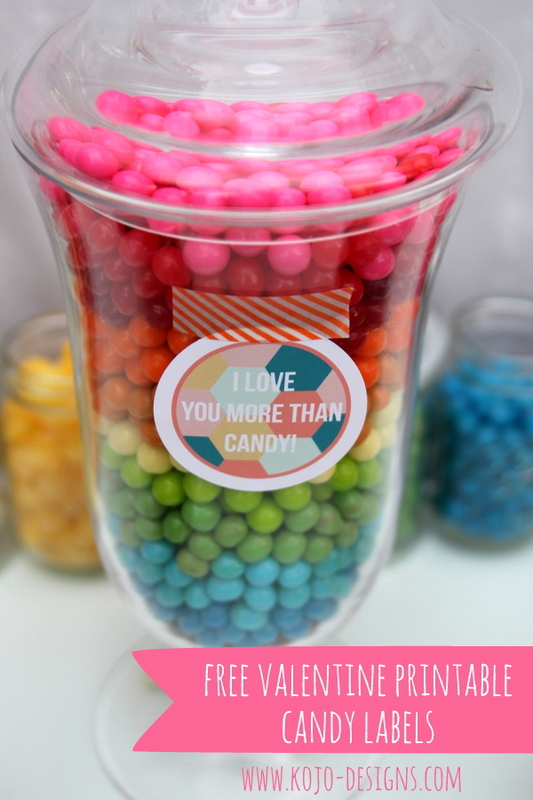 But Valentine’s Day is the perfect time for grand statements- including this one! 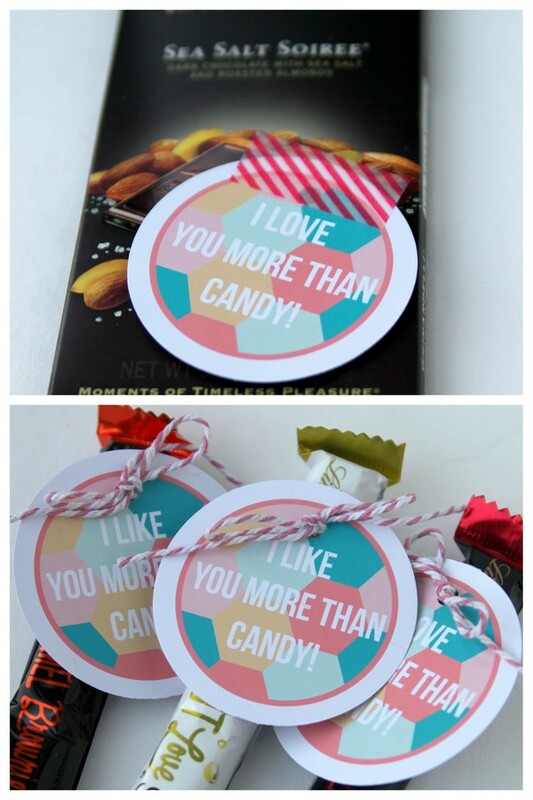 Use a little washi tape to attach these free “I love you more than candy” printable valentines to a chocolate bar, or tie them on candy sticks. 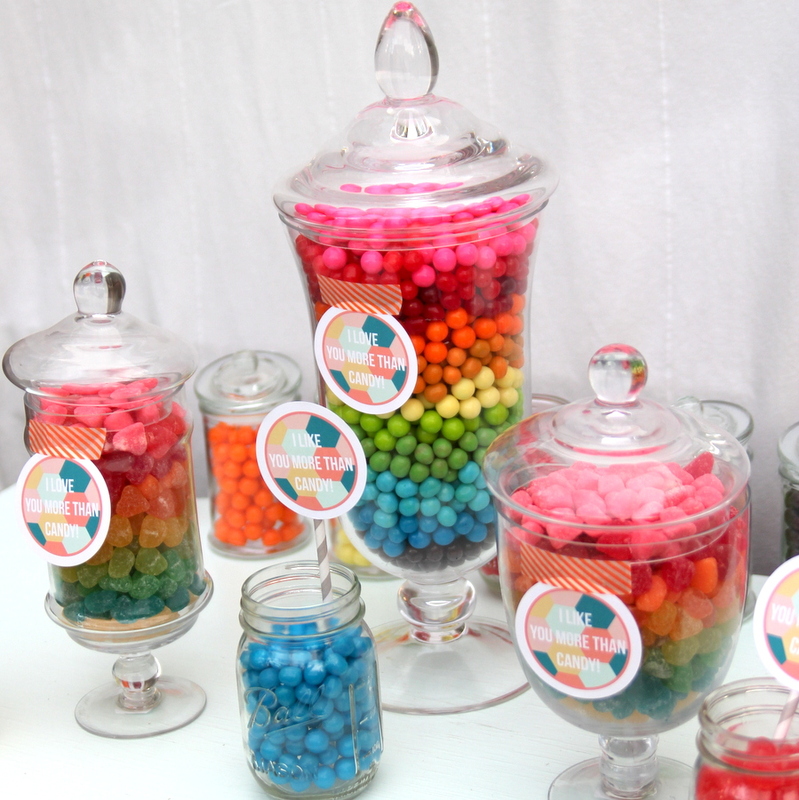 Even better, create a whole treat table full of yummies and add these printable labels to the candy jars! 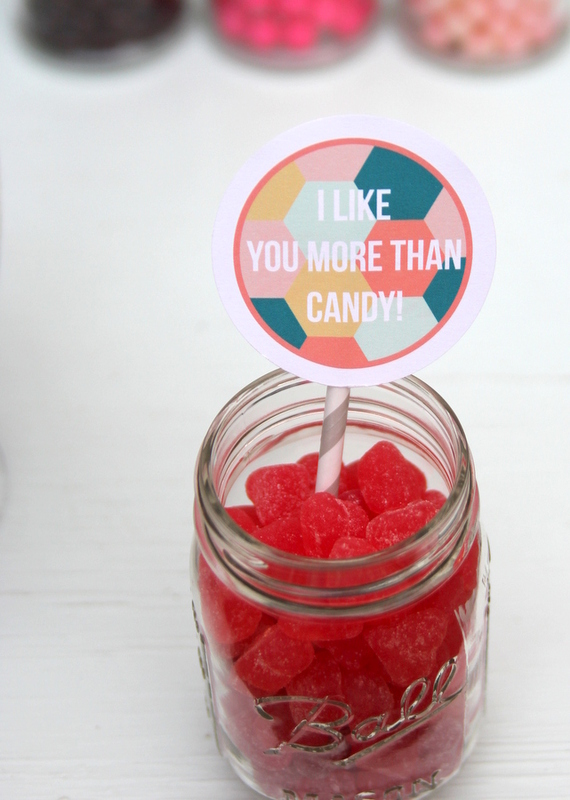 ps- There are “I like you more than candy” printables included as well, just in case you’re wanting to temper your declaration a little.